Become a certified diver with Caribe Aquatic Adventures, offering 30 years of teaching and touring experience and a range of PADI and NAUI courses in English and Spanish. You can discover scuba diving for the very first time, or up the ante with a more advanced course. 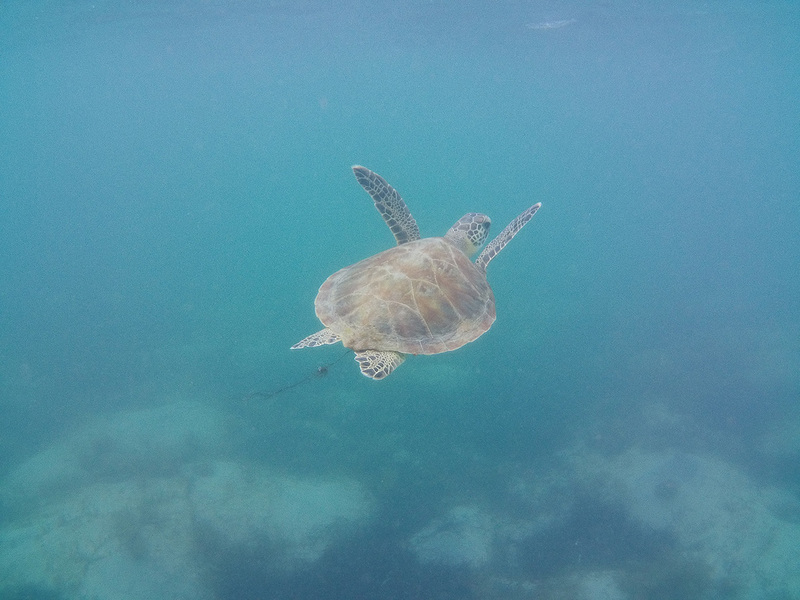 If you'd rather do something easier, consider a catamaran trip for snorkelers, a great chance to visit Icacos and Palominos Islands and discover the marine life populating the waters lapping their shores. Look for more details and contact/booking info on the website. Add Caribe Aquatic Adventures and other attractions to your San Juan trip itinerary using our San Juan trip planner . Should you be so fortunate to dive at Escambron Park in San Juan, Puerto Rico, look no further than Caribe Aquatic Adventures. 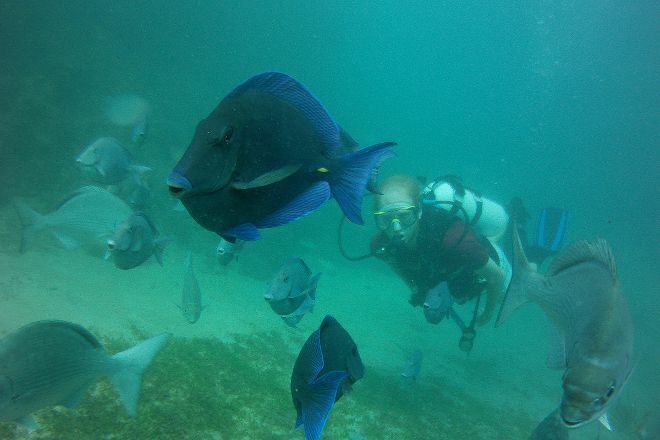 Karen Vega, Owner and operator of the company, has a very rich knowledge of the reefs that surround the town. As well she should, considering she's been diving down here for 40+ years! See if any of her competitors can say THAT! We ventured to multiple areas, including the Figure 8 and the Horseshoe reefs. We even did some cave diving! While many dive outfits seek to pack their trips to maximize their profits per outing, Karen will gladly take you for a one-on-one trip and prefers the smaller groups since there's so much more of a personal connection you get during a more intimate dive session vs. the cattle parade! Side Note: ANIL SHARMA - I can personally attest to the authenticity of Caribe Aquatic Adventures. The Owner, Karen Vega, took me out on 3 dives over two days, and less than a week later, when I'd returned home to the States, I received a package in the mail from her with a DVD, including video and pictures of our time underwater. The critter dive was such a neat experience! As soon as I booked the dive, Karen reached out and made sure we had everything we needed. 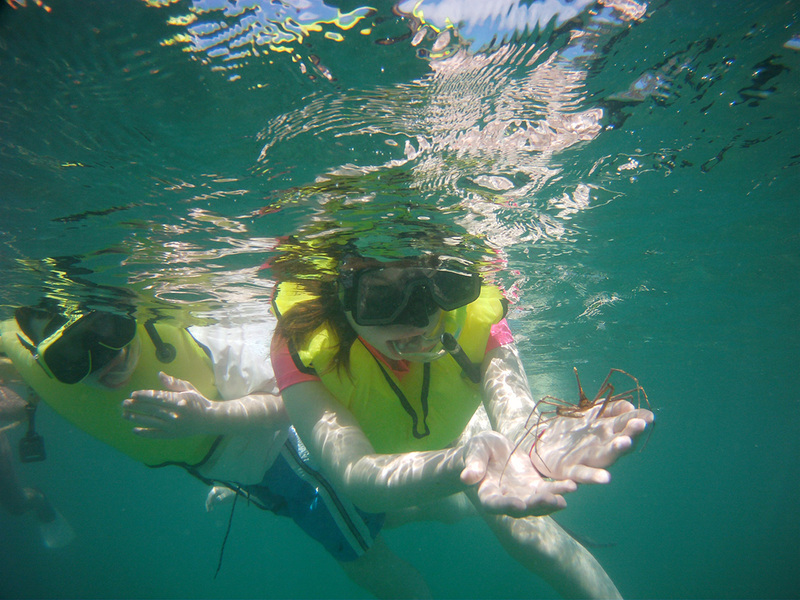 She was such a great guide and was able to find many fish and sea creatures that I wouldn't have even noticed. I would definitely recommend diving with her!